Suggestions from your doctors of the Steamboat Medical Clinic and Urgent care center. 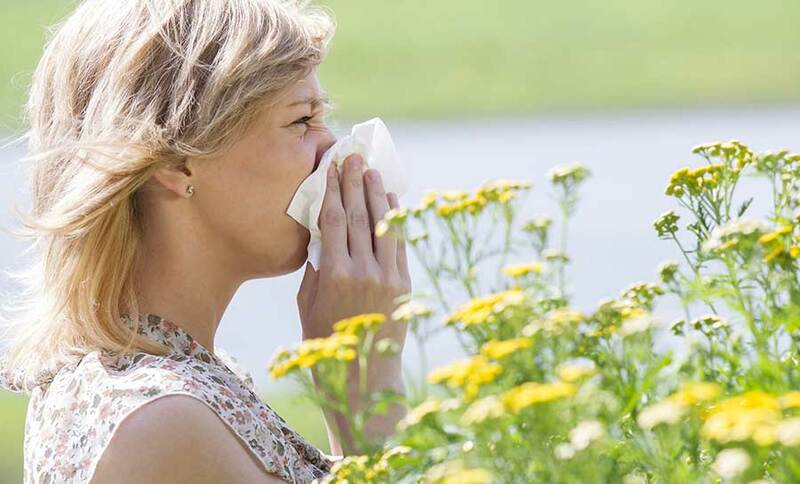 Seasonal allergy sufferers commonly seek our care for our 7 day a week clinic. Symptoms of annoying to severe itching, nasal congestion and stuffiness, sneezing, eye itching, eye watering, mouth and throat itching, and cough can be very distressing daytime and nighttime. Seasonal allergies most commonly begin in the spring due to tree pollens, continue in the summer due to grasses, and later weeds. It is easy to use the internet to look up allergy counts in the area you visit or live. In this way, you may be able to try to avoid the offending allergy trigger. But regardless of the trigger, most seasonal allergies can be treated with common over the counter medications. Many formerly prescription medications that are highly effective for allergies are now available over the counter. But with so many, what should you chose? The primary care medical clinic of Steamboat Medical Clinic offers these suggestions for adults and pediatric patients of our Yampa Valley. Initially, antihistamines were considered the first line of treatment. But to relieve the miserable symptoms of nasal stuffiness, runny nose, nasal itching, throat itching, post nasal drip, sinus pressure and even eye watering and itching, steroid nasal sprays actually show superiority to antihistamines. Steroids have always been the most powerful treatment for allergies. But traditional systemic steroids (“allergy shots, injectable steroids”) can have serious adverse side effects typically not discussed by many doctors. Patients just know they get a shot and feel good for the rest of the season. A onetime shot may have little consequence, but repeated systemic injections can have consequences of weight gain, fluid retention, poor response to infections, bone loss, muscle strength loss, poor growth in children, diabetes, cataracts, and elevated blood pressure. Newer treatments have taken advantage of the excellent effectiveness of steroids without the consequences of these potentially serious side effects. Topical nasal sprays are very effective with minimal side effects. Over the counter steroid sprays are now available. These include Rhinocort (budesonide), Flonase (fluticasone), and Nasacort (triamcinolone). Prescription medications are also available, and can sometimes be covered through your insurance plan, but require a doctor visit. These include Veramyst, Nasonex, Omnares and Beconase to name a few. Check your pharmacy formulary for coverage benefits. These topical sprays may take 2 to 3 days to become effective, but effectiveness increases over 2 to 3 weeks. They can be started before or at the first sign of allergy symptoms for best effectiveness. Side effects are minor, and may include nasal irritation or dryness. Steroid eye drops are available as well, but should be used with caution, as chronic use can be associated with cataracts and eye infections. Misdiagnosis of a serious eye condition could be overlooked. In general, your ophthalmologist is in the best position to prescribe steroid eye drops for limited duration. Antihistamines are the second most effective treatment for allergies, and medications that used to require prescriptions are now available over the counter. Antihistamines block the main chemical, histamine, that the allergy trigger stimulates. Histamine is responsible for the itching, sneezing, congestion and secretions of the nose, throat and eyes. Original antihistamines called ‘first generation” are effective, but have greater side effects, especially sedation. They usually have a shorter duration. So they may need to be taken 2 to 4 times a day. The most common ones are Benadryl (diphenlydramine), Tavist (clemastine), Dimetane and Chlor-trimeton. Prescription first generation medications are also available. But second generation antihistamines have great advantages of longer duration (once a day) and minimal sedation. They may take a few hours to take effect, are even more effective if taken daily for allergy control, and become even more effective over 3 to 5 days. The most common ones are Clariten (loratadine), Allegra (fexofenadine) and Zyrtec (cetirizine). Zyrtec may be mildly sedating. Xyzal and Clarinex require prescriptions. Use of antihistamine and steroid nasal sprays together are highly effective for moderate to severe allergy symptoms of the eyes, nose and throat. After several days of treatment, sometimes the antihistamine can be discontinued with persistent relief. Topical forms of antihistamines can also be directed at severe eye or nasal symptoms. These can be used as single relief products, or as add on as needed products. These require a doctor visit to decide on the best choice of treatment, and you should consult with your drug plan, as they may not be a “preferred drug”. Examples of eye drops include optivar, emadine and livostin. Examples of nasal sprays are Asteline , Astopro and Patanol. Decongestants are typically used as add on medications if antihistamines or steroids are not adequate for nasal congestion and runny nose. These medications cause reduction of swollen nasal mucous membranes and blood vessels. They reduce swelling, congestion mucus secretions and redness of the nose and eyes. Over the counter medications including Sudafed can be quite effective. Maximum strength Mucinex D is available by request to the pharmacist without a prescription. Although highly effective, significant side effects can occur including elevation of blood pressure, aggravation of glaucoma, insomnia, jitteriness, anxiety and difficulty urinating (males). If concerned, make an appointment with one of our pediatrician or family medicine doctors for consultation of these medications are right for you. Topical nasal decongestants are available (Neo-synephrine: Afrin), but need to be limited to less than 5 days. If used for extended periods, they will have a rebound effect, making stuffiness worse. Eye decongestant drops (Visine) should also be used or less than 5 days as well to avoid rebound. Most antihistamines offer combined antihistamine/decongestant options for severe symptoms. For example: Zyrtec-D, Allegra-D, Clariten-D, Actifed (nasal spray), Naphcon A (eye drops). Consult with your pharmacist, or consult with our Pine Grove clinic or Hayden family clinic doctors for suggestions to see if these products are right for you. Additional treatments our 7 days a week and urgent care clinic can suggest may include “mast cell stabilizers”, which are somewhat homeopathic. Mast cells are stimulated by allergy triggers, and release histamine. They are virtually side effect free, but are less effective than treatments listed above. They are available as nasal sprays, eye drops and inhaled treatments for asthma. Leukotriene modifiers block the allergy inflammatory response specifically in response to the allergy immune system, similar but much more than specifically than steroids do. These can be highly effective for nasal, eye and asthma symptoms with easy once day dosing. They do require an office visit and prescription, but may be highly effective and safe as solo or add on therapy. Rarely, they can cause stomach upset, fever, headache or mood changes. Saline nasal rinses and artificial tears can wash away allergy pollens to reduce the trigger burden (or load). Allergy shots may be necessary if allergies last longer than 3 months a year or do not respond to usual therapies. Specific allergies must be identified, and a series of injections are used over months to decrease allergy response to the offending allergy. This is ideal for stinging insect risks, as these allergies can be fatal if they cause a systemic reaction. This requires a referral to an allergist. Our doctors of steamboat medical can make recommendations if this is necessary if you have reaction to a stinging insect. Local reactions are most common, and do not require immunotherapy. Asthma can be triggered by allergies, in addition to irritants, smoke, infections, exercise and occupational exposures. Asthma triggered by allergies can be life threatening, or if chronic, can result in reduction of lung health. If you have asthma, tightness in your chest, wheezing, or cough, you should consult with us. We are of the best Steamboat Springs doctors to develop a personal plan for you. Asthma inhalers are highly effective to control annoying or risky symptoms, but require expertise, surveillance and follow up visits to optimize the best therapy.